Samsung has dozens of models with dozens of variants in its smartphone lineup. While it helps Samsung to rake in more revenue by targeting different market segments, it also results in fewer and slower rollout of Android updates, frustrating the users. The pace of Android 8.0 Oreo rollout by Samsung is a perfect example for this. The Korean company started pushing out the Oreo update in February, but a large number of devices are still waiting for the update. The rollout started with the Galaxy S8/S8+ and gradually reached the 2016 flagship devices in early May. Even as the Galaxy S7 and S7 Edge continue to receive the update in various regions and on multiple carriers, the rugged version of the Galaxy S7 series, the Galaxy S7 Active, is yet to taste the update anywhere. Thankfully, the update situation of the Galaxy S7 Active is set to change soon as the device has been spotted at the Wi-Fi Alliance with Android 8.0 on board. 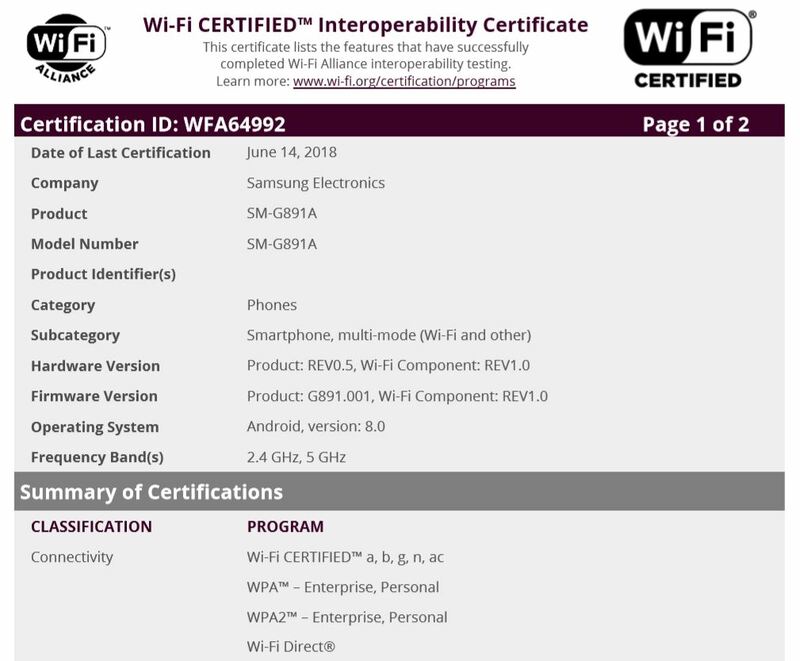 Securing Wi-Fi certification is one of the final steps involved before releasing an Android update. It implies the development is complete and may hit the devices soon. However, even after the update is released, it may take weeks if not months before it reaches all the Galaxy S7 Active variants. The Oreo update packs a lot of new features and improvements such as picture-in-picture mode, notification dots, notification channels, battery optimizations, autofill framework, etc. You can read our ‘What’s New with Android 8.0 Oreo’ series to see the list of all the new features and design changes included with the Oreo update on Galaxy devices. I am talking about the s7 edge version. Yeah, before the unlocked version even get it. I know unlocked ones are dead last.